The next generation in gaming communication for Windows is here! 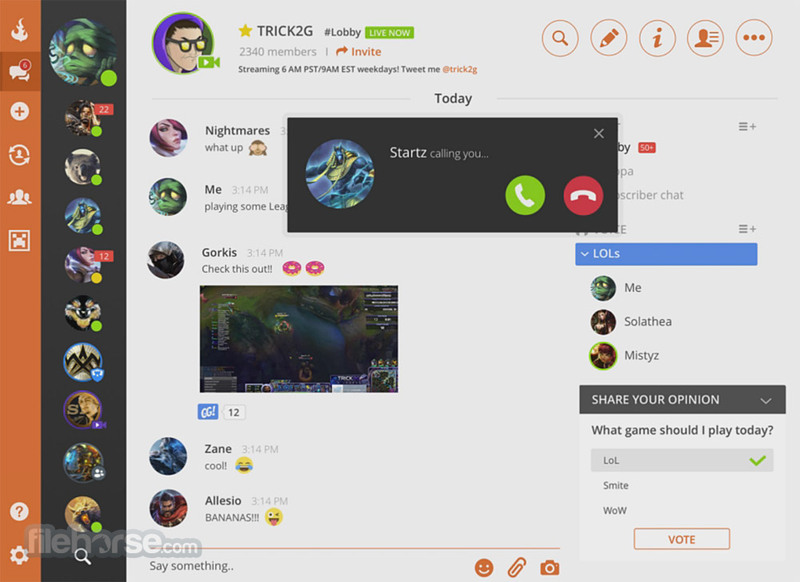 Curse for Windows brings your favorite games, friends, teammates and communities together with world-class technology to provide you with epic communication at your fingertips. Whether you're tapping on your phone or clacking on your keyboard, we're available on all devices. Express yourself with a gorgeous UI that makes it easier to share your favorite content. Rich-embeds, @mentions, attachments, search capabilities and custom emoticons at your disposal. Upvote your favorite content with “GGs”, a like-system designed just for gamers. Not hearing the raid leader isn't a good excuse anymore. With crystal clear audio and the best possible latency, Curse enables you to communicate with your group at the highest levels to make sure you're always performing at your best. Voice activation, PTT, packet-loss concealment, and a custom audio engine add up to a VOIP experience designed from the ground up for gaming. The Curse overlay effortlessly integrates with your favorite games, giving you unparalleled control without ever leaving the action, or your team, behind. 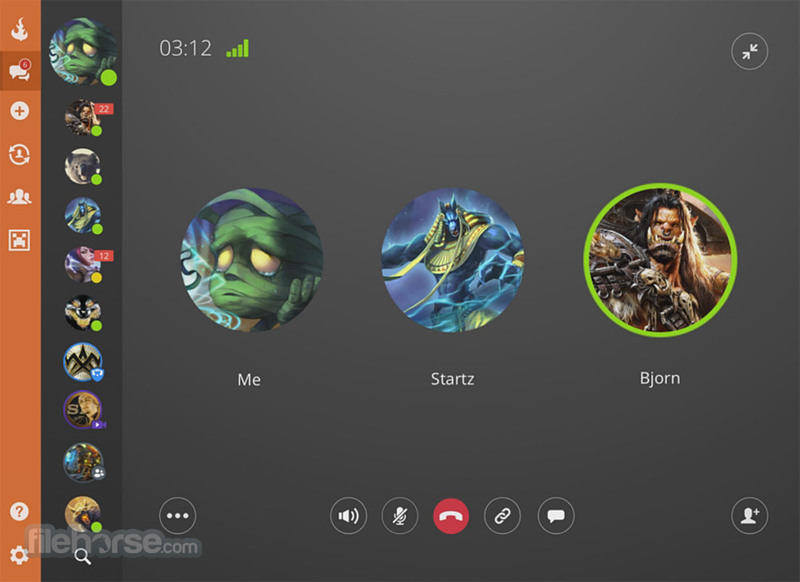 Accept calls in-game - no alt-tabbing necessary. See who's calling the shots with unique voice indicators. Keep up with your friends by using Friend Sync. Curse for Windows automatically detects identities from applications and games like Steam, Battle.net, Skype, Smite and League of Legends, allowing players to quickly add their friends to Curse. Nothing beats finding the right community. Do you remember the first group you ever felt connected to? Where people come together to share their enthusiasm for a genre of games, for the same game, or even a pro-team? We want to facilitate these opportunities by helping you find communities that fit you and whatever you're passionate about. We're looking out for your safety, too. Besides standing in fire when you're not supposed to, we want to make sure you're out of the line-of-fire from nasty DDOSers by keeping your IP private and protected. Servers are entirely what you make of them. 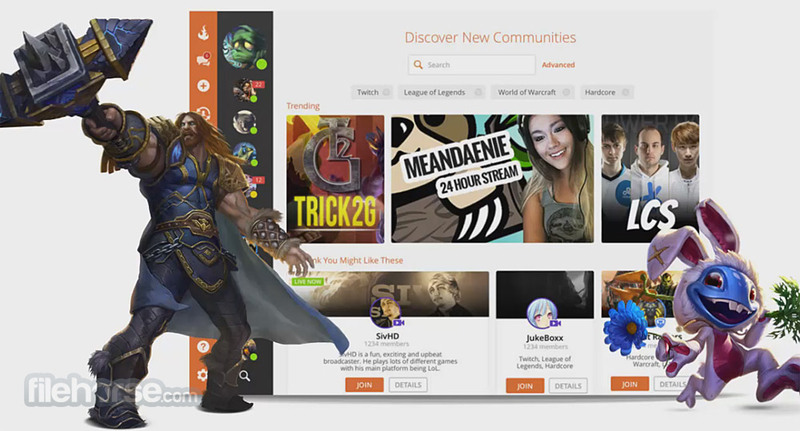 They're the raid-strat war room for WoW guilds, the community engagement hub for content creators, the friends you've acquired over memorable RPG adventures, or the dedicated Castlevania speedrunning community. Don't get bogged down by a handful of apps! We're upping the convenience game with integrated polls and giveaways, extensive analytics and all the functionality needed to level-up your stream! With instant syncing, bring in your subs, mods, and viewers to your own personal streamer community server. Your custom community playground. Remember Rollercoaster Tycoon? Imagine outfitting your server with all the features and attractions that will make it a favorite destination for like-minded friends and gamers. Note: Curse has been acquired by Twitch and this software is now Twitch Desktop App.